There are perhaps very few people, the world over, both children and adults, who are unfamiliar with A.A. Milne’s Winnie the Pooh stories. Just the mention of the name, Winnie the Pooh, causes the theme song to play in a person’s head on eternal repeat. The stories of Winnie the Pooh, that loveable, “forever in my heart” friend of Christopher Robin, who lives in Hundred Acre Wood along with his other delightful friends, are timeless and have captivated the hearts of millions. Although Pooh often refers to himself as a “bear of very little brain,” he is quite the philosopher. His ageless quips such as, “When you are a Bear of Very Little Brain, and you Think Things, you find sometimes that a Thing which seemed very Thingish inside you is quite different when it gets out into the open and has other people looking at it” are sprinkled with golden nuggets of wisdom and valuable life lessons. 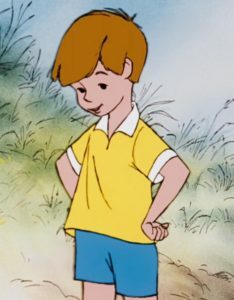 Brady Bluhm, a member of The Church of Jesus Christ of Latter-day Saints played the voice of Christopher Robin in three Winnie the Pooh animated films in the 1990s. Born on 6 July 1983, Bluhm starred in Pooh’s Grand Adventure: The Search for Christopher Robin (1997), Winnie the Pooh: A Valentine for You (1999), and Winnie the Pooh: Seasons of Giving (1999). 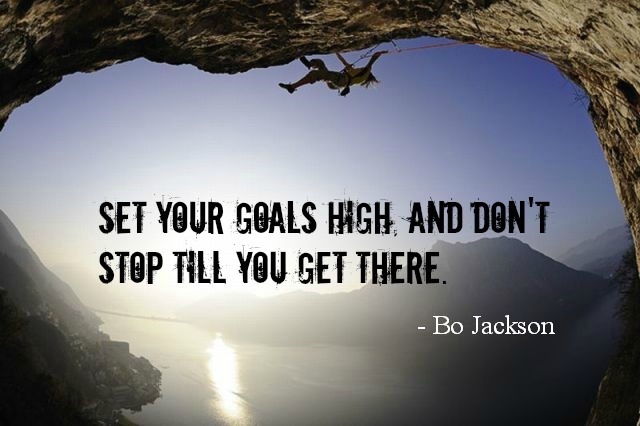 He was also known for his roles in several hit television shows, including Doogie Howser, M.D. ; Walker, Texas Ranger; Star Trek: Voyager; and CSI: Crime Scene Investigation. Bluhm served a full-time mission for the Church in Concepción, Chile. He married his wife, Abbie, in 2010. 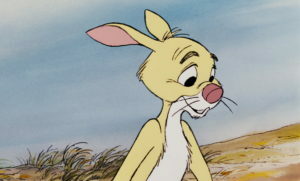 Frank Kenneth “Ken” Sansom, also a member of the Church, was the voice of Rabbit in the television series The New Adventures of Winnie the Pooh, as well as, several Winnie the Pooh movies from 1988 to 2010. 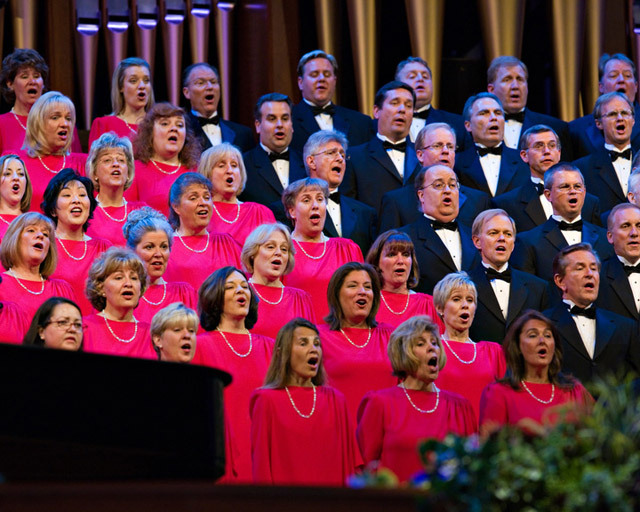 Born on 2 April 1927, Samson received a bachelor’s degree in radio broadcasting from Brigham Young University in 1949 and began his career with a Los Angeles radio show called Sansom and Then Some. He was also a well-known actor and performed in roles in several movies and television shows during the ’70s and ’80s, including Herbie Rides Again (1974), The Brady Bunch, Charlie’s Angels, and Murder, She Wrote. Additionally, he entertained the troops during the Korean War with the United Service Organizations (USO). He died on 8 October 2012, due to complications following a stroke. 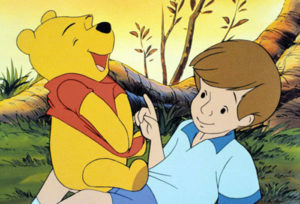 Richard Rich, an LDS animated film director, was the assistant director of Winnie the Pooh and Tigger Too (1974), which was nominated for an Academy Award for Best Animated Short Film. 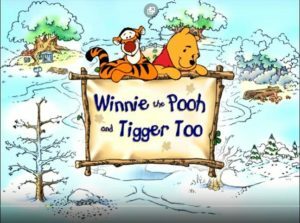 Interesting to note, the title Winnie the Pooh and Tigger Too is a play on the slogan “Tippecanoe and Tyler too,” which was made famous during the 1840 U.S. presidential election. Born in 1951, Rich became the youngest animation director in the history of Disney during his employment. He was also an assistant director on the Disney animated films Robin Hood (1973), The Rescuers (1977), and Pete’s Dragon (1977). He also directed The Fox and the Hound (1981) and The Black Cauldron (1985). He later founded his own animation studio and directed The Swan Princess (1994) and four sequels. 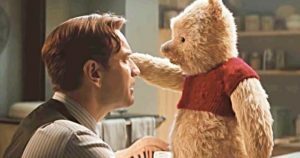 Church member Brigham Taylor is the genius behind the idea for the latest Winnie the Pooh adventure titled Christopher Robin. He also produced the movie that stars Ewan McGregor. According to Deseret News, Taylor pitched the idea for the live -action Winnie the Pooh film over a decade ago, in 2003. In an interview with the Deseret News, he commented, “I’d been inspired by something I’d seen in a Spielberg film about the ability to bring a teddy bear to life in a really sort of charming way. And I thought, ‘Boy, wouldn’t it be amazing to see, in the live-action context, these characters that we’ve known and loved for so long?’” Although the studio liked the idea, other ongoing animation projects beat it out at the time. In 2014, when Taylor became a producer at Disney, the idea was refreshed. Taylor also produced the live-action movie The Jungle Book (2016), Tomorrowland (2015), and the Pirates of the Caribbean series. He was also a production executive for The Chronicles of Narnia: The Lion, the Witch and the Wardrobe (2005).